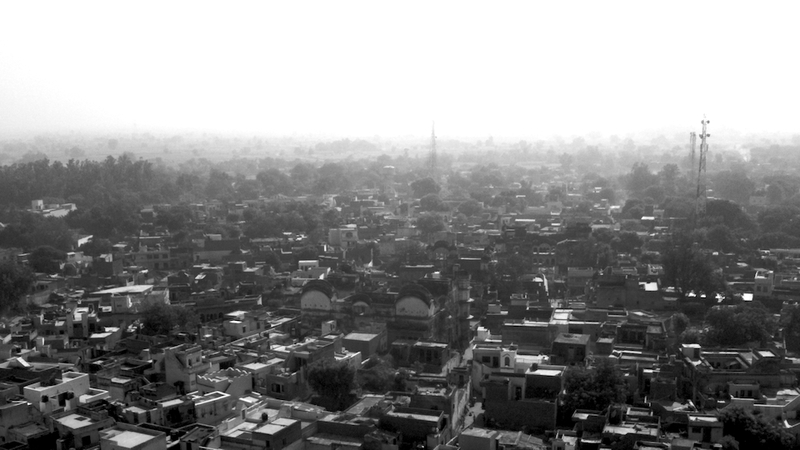 Morning haze over the rural town of Barsana. A cartographer might remark on this as nothing more than a settlement by the foot of a small hill. 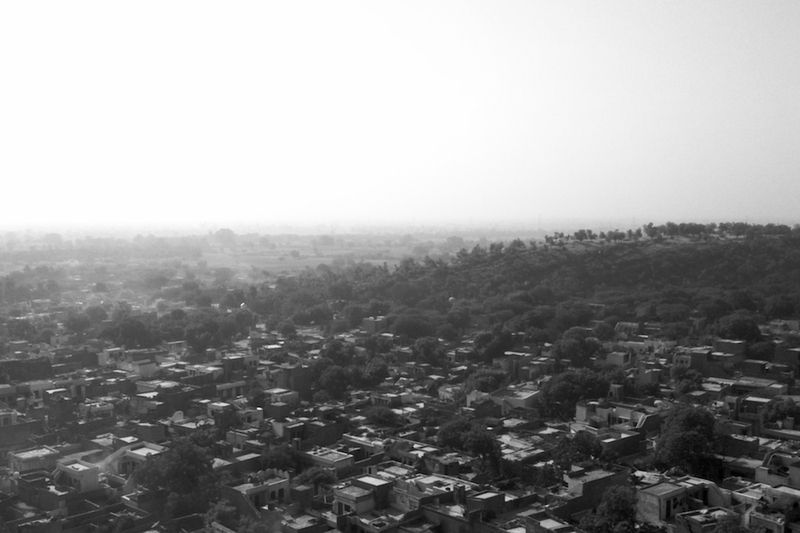 A panchayat town from the Mathura district with a close proximity to the Rajasthan border. Not of particularly great interest. Legend, however, places Barsana as the home of Radha Rani, Lord Krishna’s eternal muse. Her childhood home, her days as a gopi, the place of their first meeting… hundreds and hundreds of years ago. The black and white treatment does well. What a handy thing that iPhone camera is.